RoweBots, a leading supplier of RTOS solutions for wearables and Internet of Things devices, announces WearableOS, a special variant of the Unison(TM) RTOS. WearableOS is focused on delivering the precise set of features that wearable OEM developers need. Wearables have unique requirements that are not found in many embedded devices and as a result most RTOS solutions don't deliver what is needed in terms of power management, wearable focused processor, peripheral and wireless circuits supported, and wireless architectural variants. Based on the Unison RTOS, a tried and proven solution, WearableOS(TM) eliminates unneeded features and simplifies designs. For example, wearable OEM designers need improved power management solutions and WearableOS does this in several ways. A very tiny memory footprint ensures the ability to use minimum hardware. Next, it saves power by providing support on the smaller and most power-efficient processors of a given type and size. It also minimizes power by allowing idle sleep and RTC synchronization upon restart as well as powering down peripherals when they are not in use. 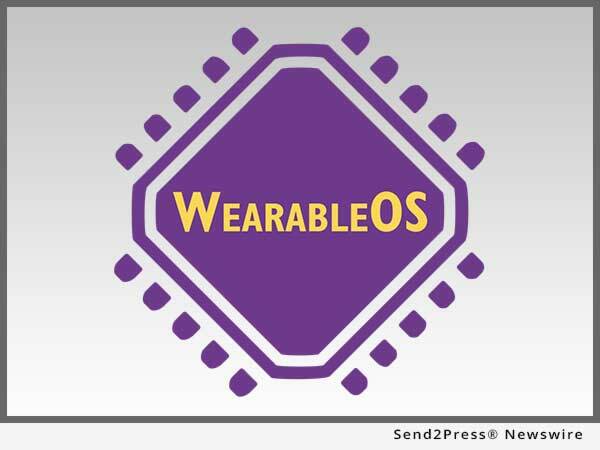 WeareableOS supports broad categories of wearable devices including rings, bracelets, watches, fitness bands, gesture tracking devices, motion detectors and analyzers, VR glasses, AR glasses, concussion sensors, shoes, body motion tracking, body suits , sticks, bats, pads, vital signs, weight, vision tracking and more. The combined set of requirements for these varied applications is fully supported off the shelf by WearableOS. Zero boot time, another key feature of WearableOS, enables devices like AR glasses, or glasses that help the blind see, to be instantly available. Concussion systems don't have to wait for devices to power-up when teams start practicing and home health care systems are available immediately after a power failure. WearableOS also includes complete wireless router options off the shelf while supporting other architectures. For team sports, devices need to network to sidelines or centrally located routers in order to communicate information and provide real-time status information but everyone on the soccer team shouldn't need to carry a smart phone onto the field. However, the road racing cyclist might need that smart phone. WearableOS can handle either and so it is highly adaptable to various wearable designs and architectures. Along with various wireless router options, different radios are required depending on the application. From Bluetooth and Bluetooth Smart/SmartReady, through WiFi, 6loWPAN, Zigbee, GPS, 2G, 3G, 4G and more, WearableOS offers the wireless protocols support you need to say connected with the right wireless architecture. WearableOS offers comprehensive security to protect user data at all times, but does this on tiny processor platforms with integrated wireless support and assumes local data storage. From secure file transfer through email and remote management, WearableOS solves security problems. Light, durable and small is the norm for wearable devices. WearableOS helps achieve these goals. By focusing on and supporting the smallest, lowest power, wireless processor options with the smallest packaging, WearableOS addresses all wearable design issues. WearableOS is free for evaluation and prototyping. Licenses start at $999 USD for a single project and availability is immediate. RoweBots is developing the next generation of modular system on chip ultra-tiny embedded Linux software for embedded OEM for the Internet of Things and M2M communication for a broad set of embedded applications. The company is based in Waterloo, Canada. For more information, visit the RoweBots web site http://www.rowebots.com/. Trademarks: Unison is a registered trademark of RoweBots Research Inc. All other product and company names are the trademarks of their respective owners.